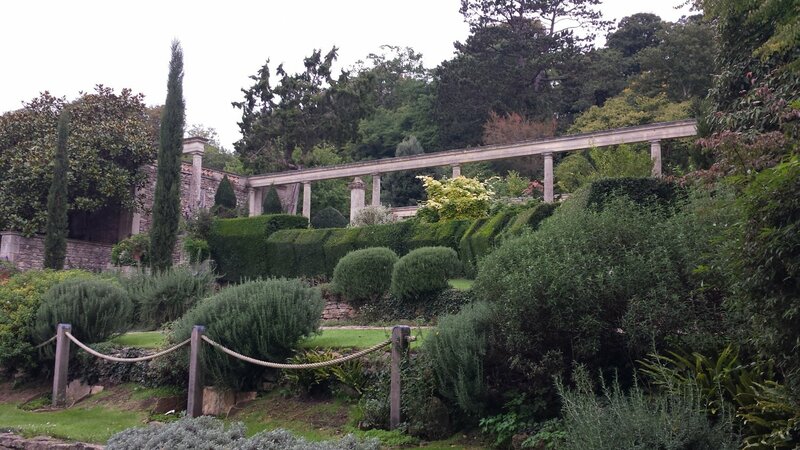 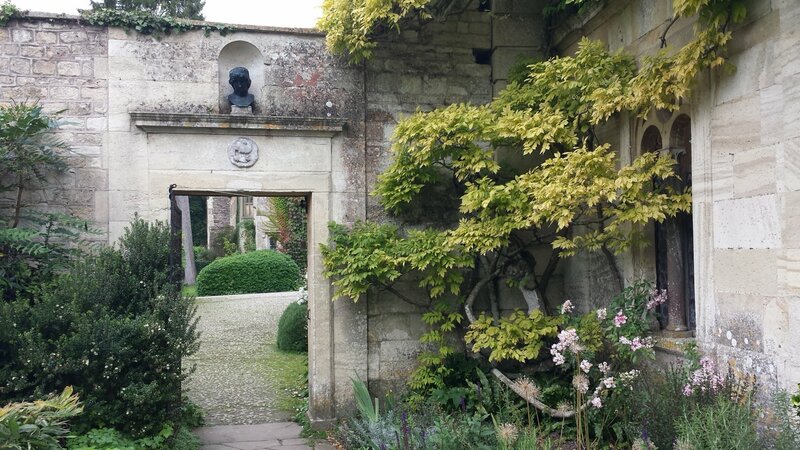 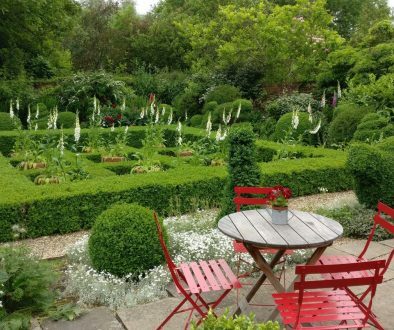 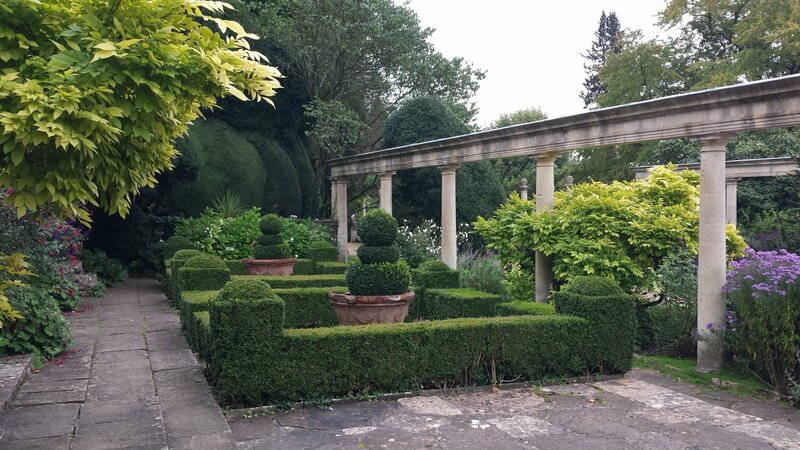 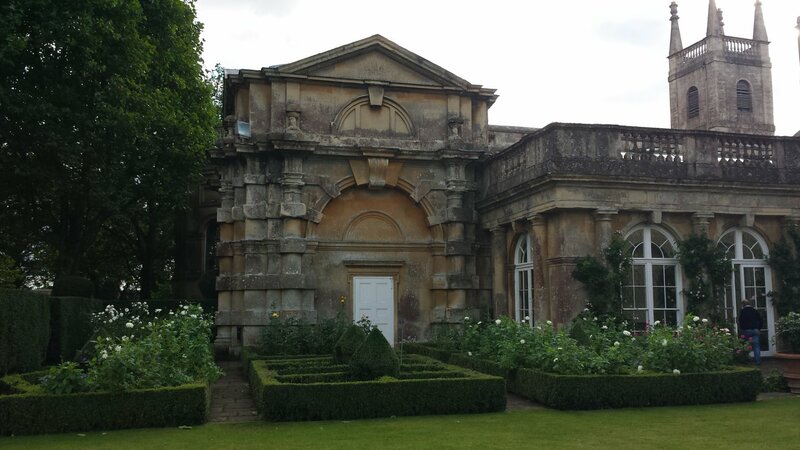 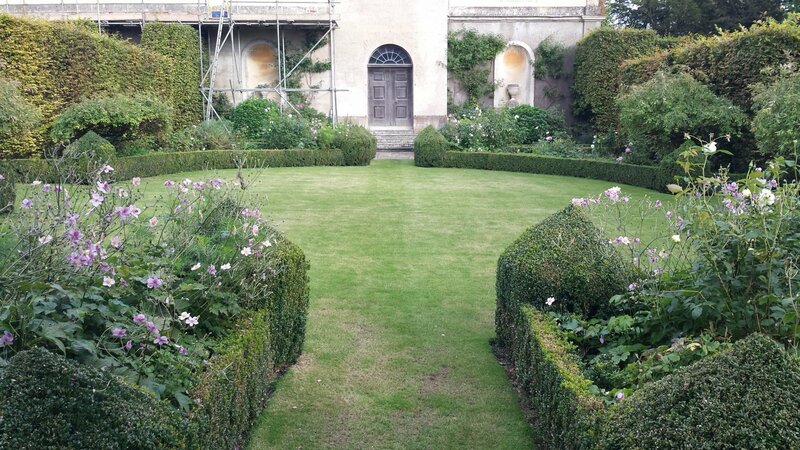 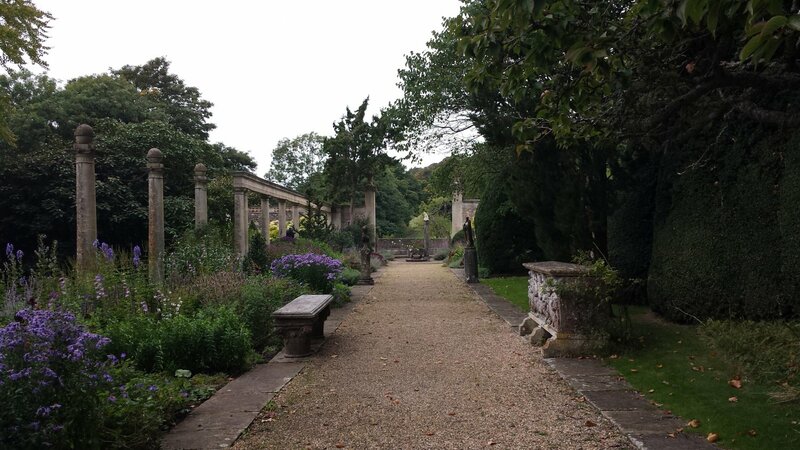 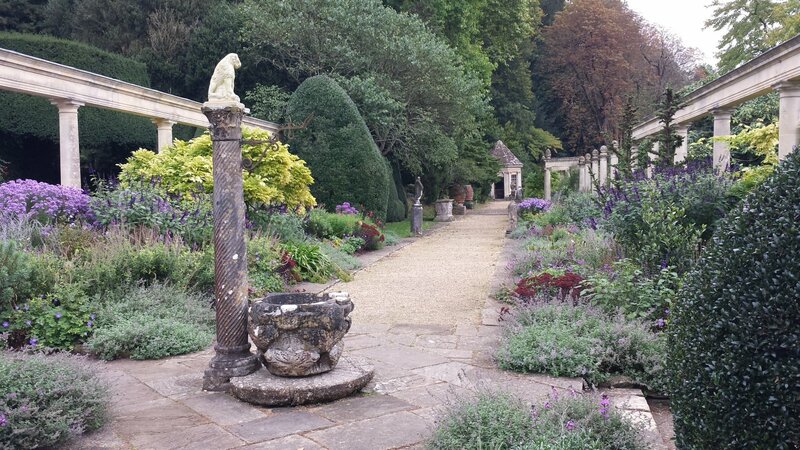 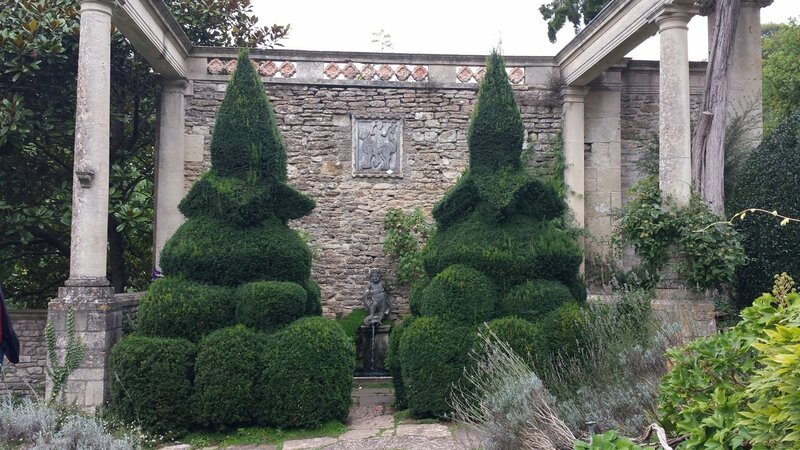 Iford Manor has a house and garden to die for. 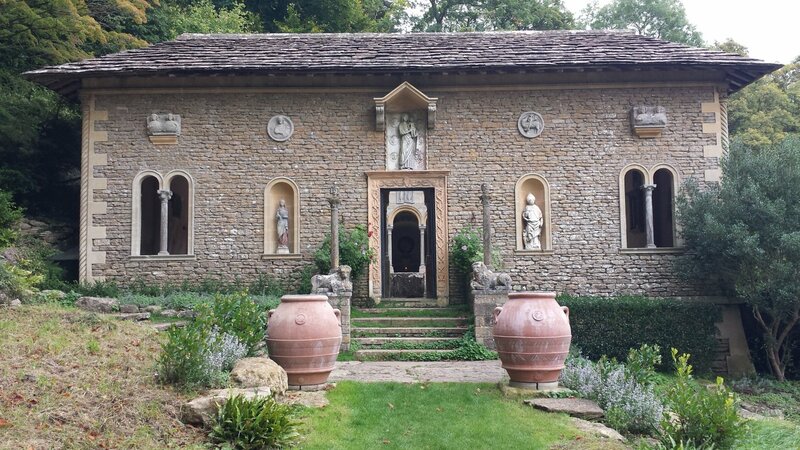 If ever there was a house and garden that was in a perfect setting, surely this must be it. 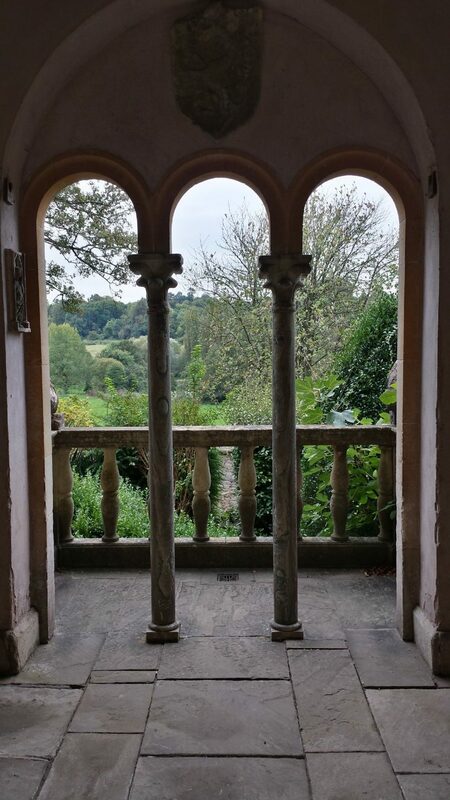 The both are settled comfortably into the side of a valley that looks down over the gently curving River Frome. 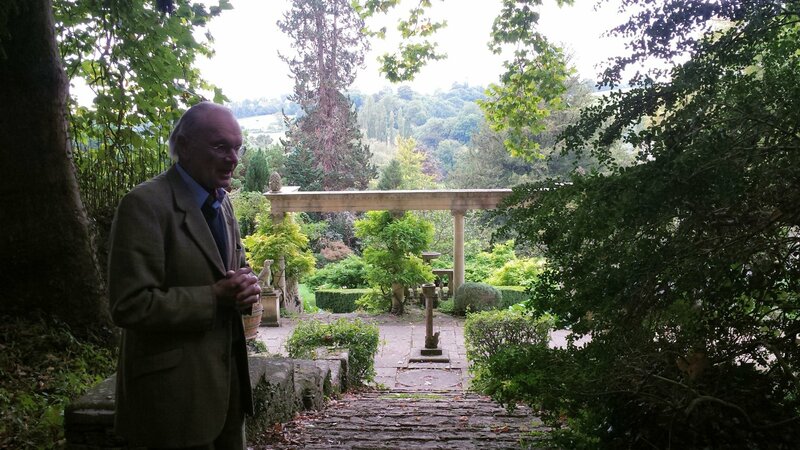 From 1899 – 1933 it was the home of Sir Harold Peto. 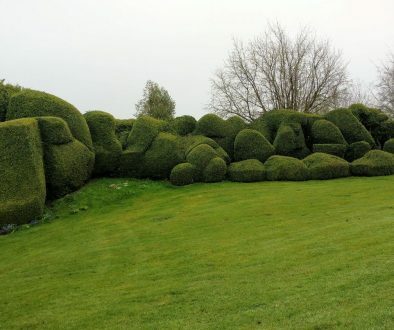 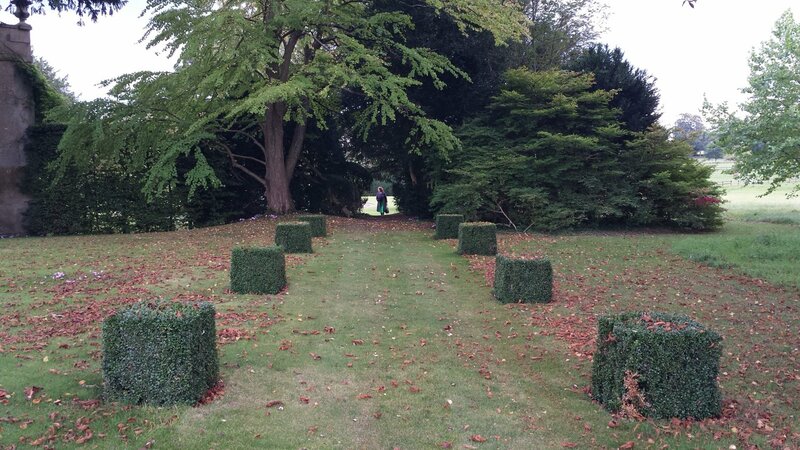 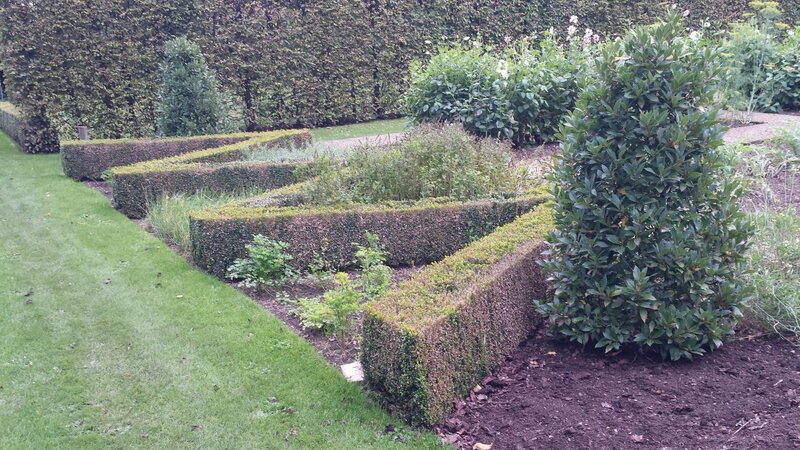 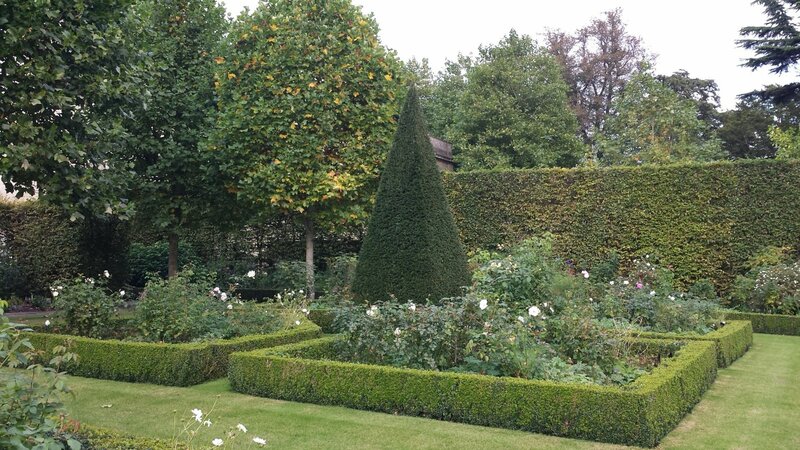 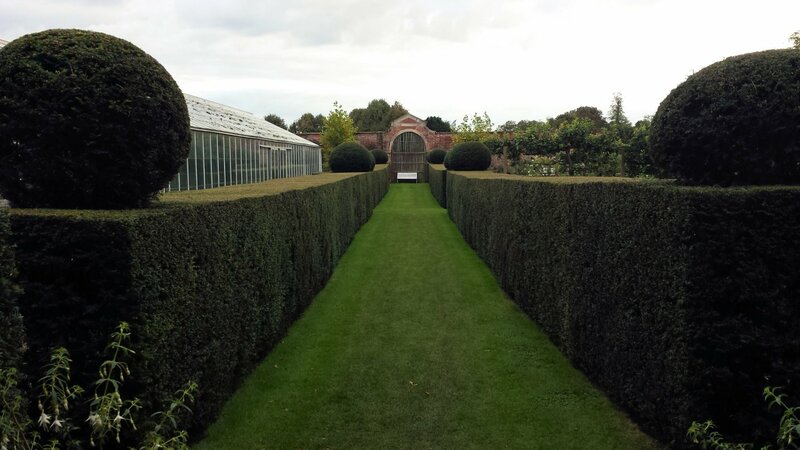 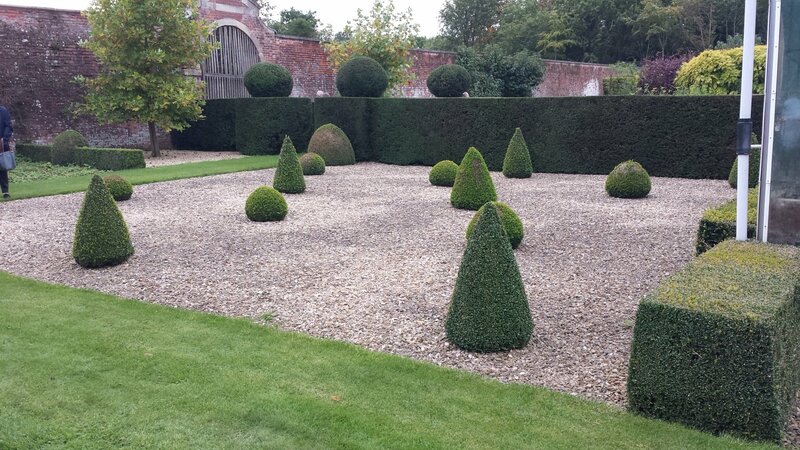 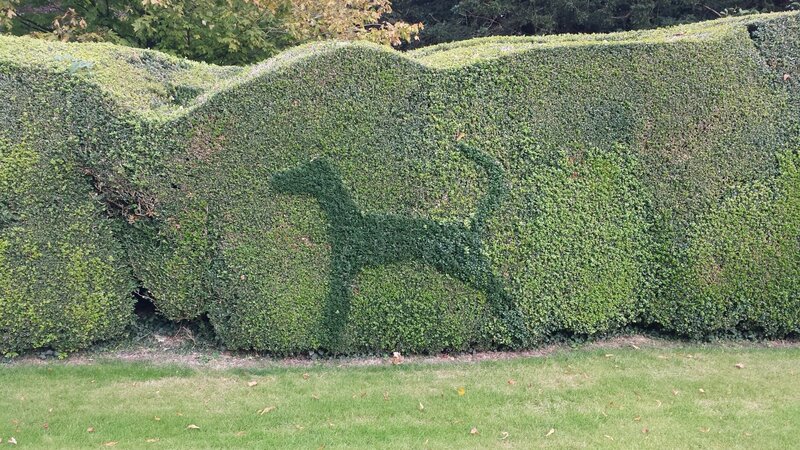 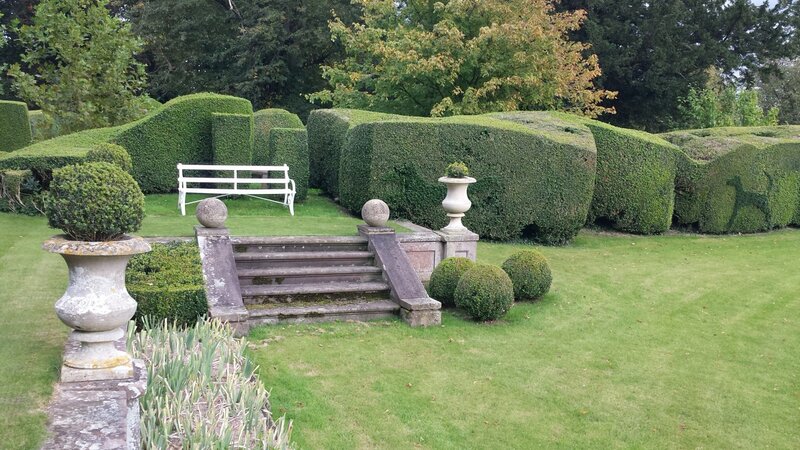 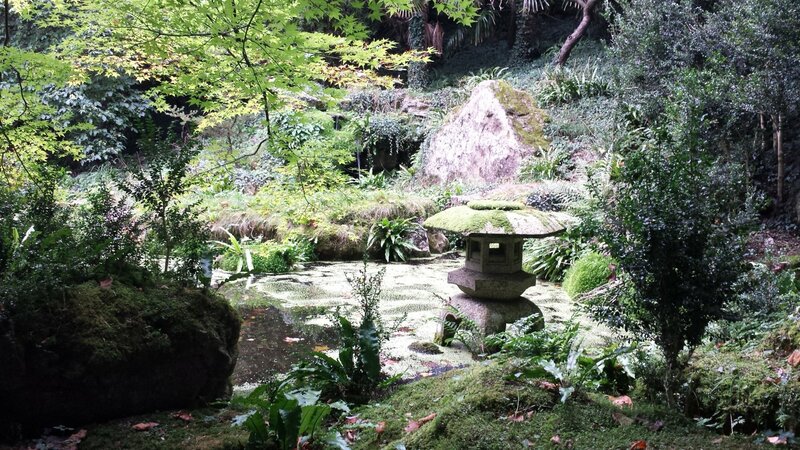 His influence on the house and the garden, which he designed, is still very evident. 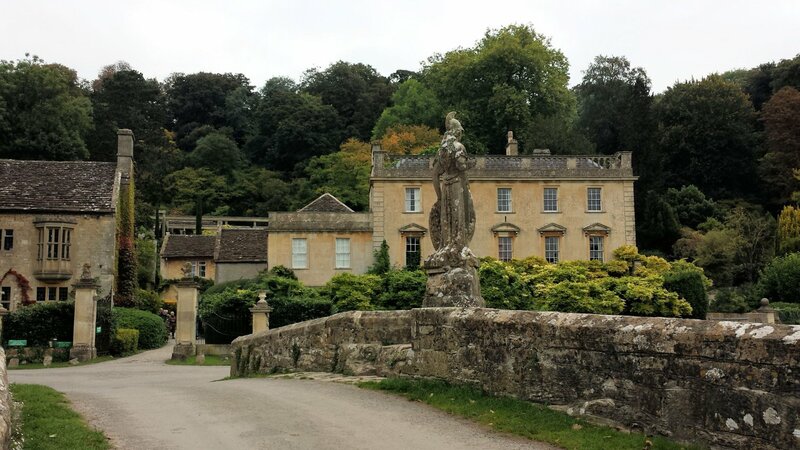 We were lucky that the present owners showed us around. 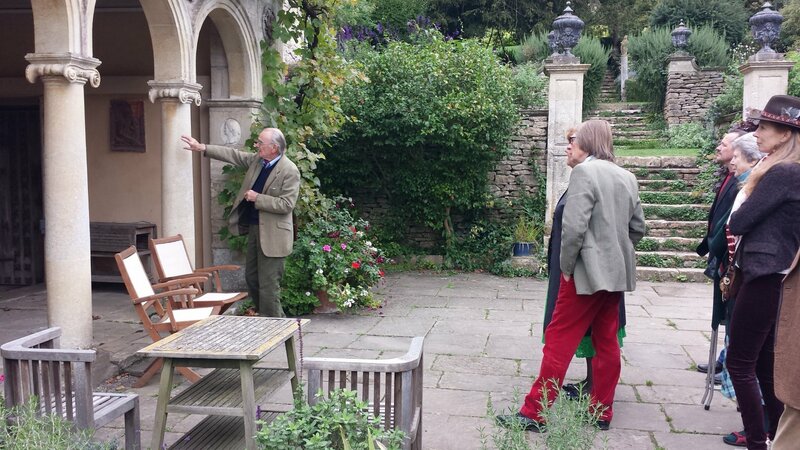 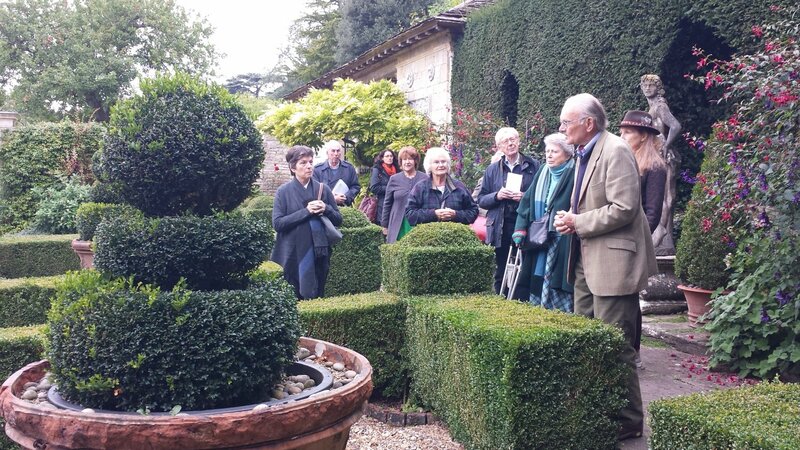 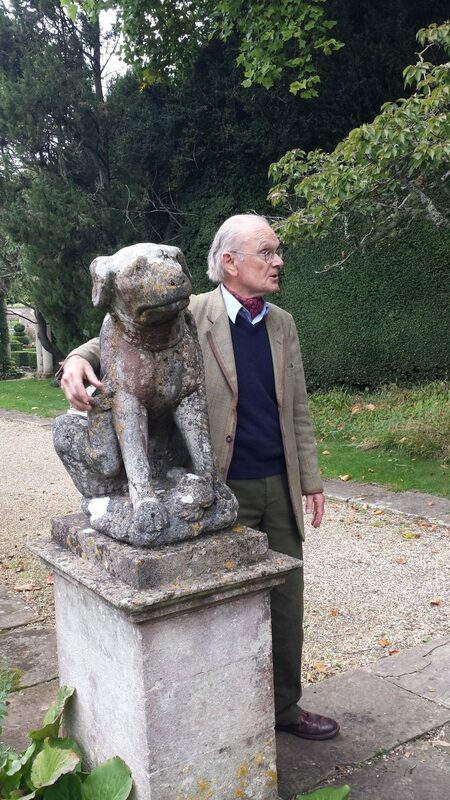 Whilst John Hignett showed us the garden, his wife Elizabeth Cartwright-Hignett showed us several fascinating rooms in the house. 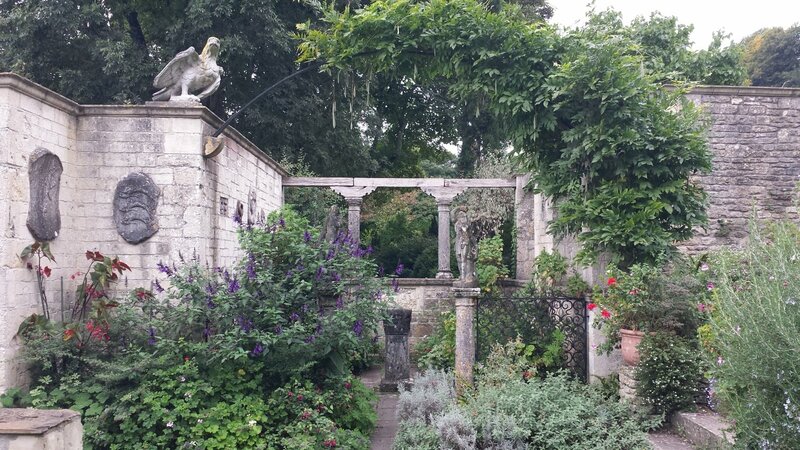 Where the rooms of the house are linked by the scent of wood smoke the areas of the garden are linked by the sound of water. 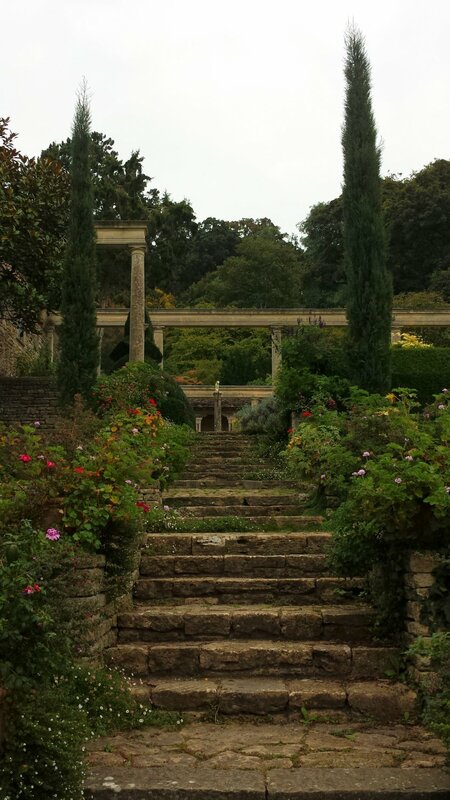 Built on a slope there are steps and terraces and views and surprises and it’s all quite wonderful. 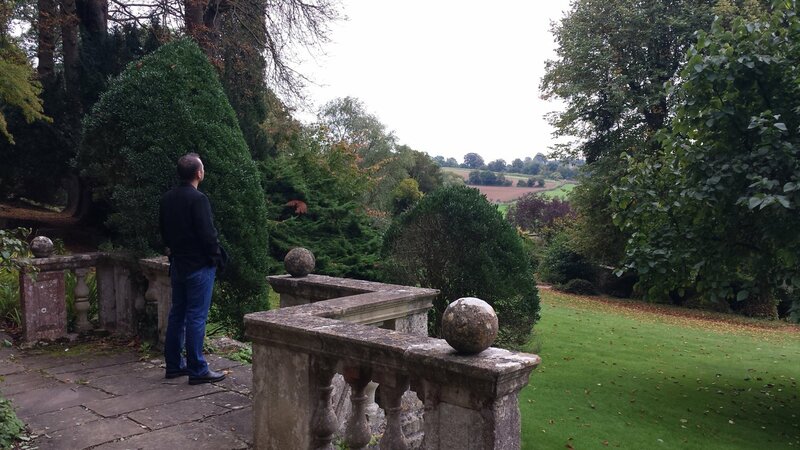 It seemed as though here at least all was well with the world. 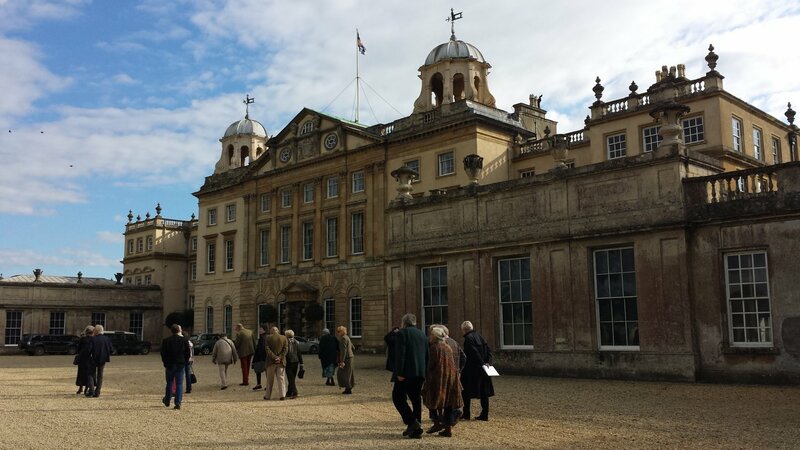 Badminton House was our second port of call. 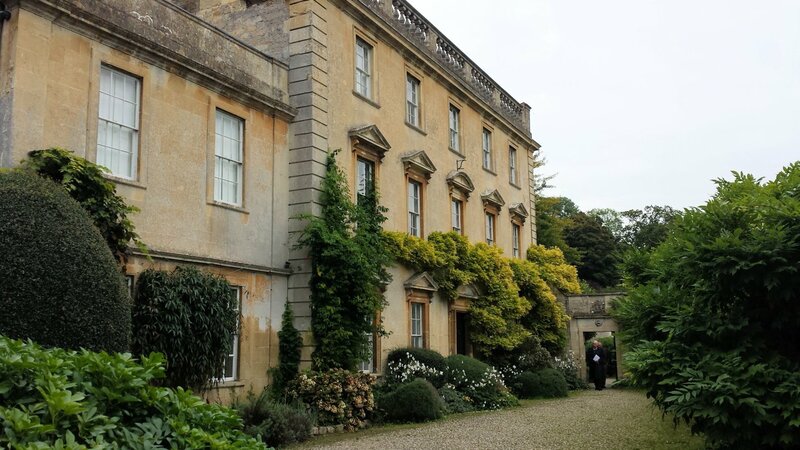 It is an imposing building being the home of the Beaufort family since 1863. 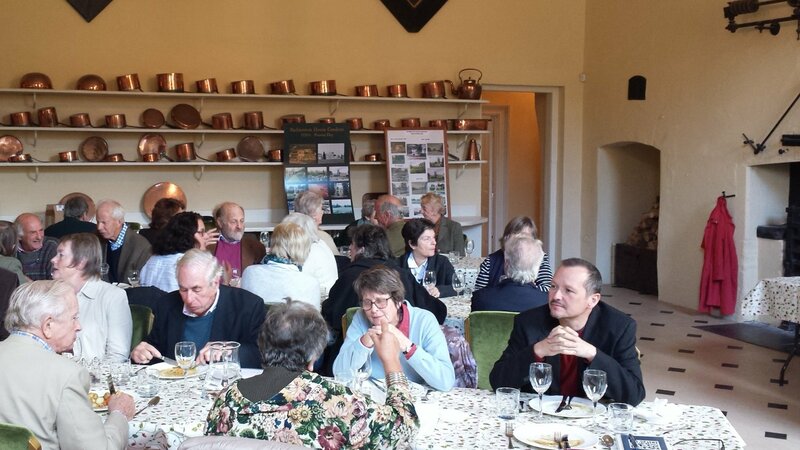 There we enjoyed a delicious lunch in the old kitchen. 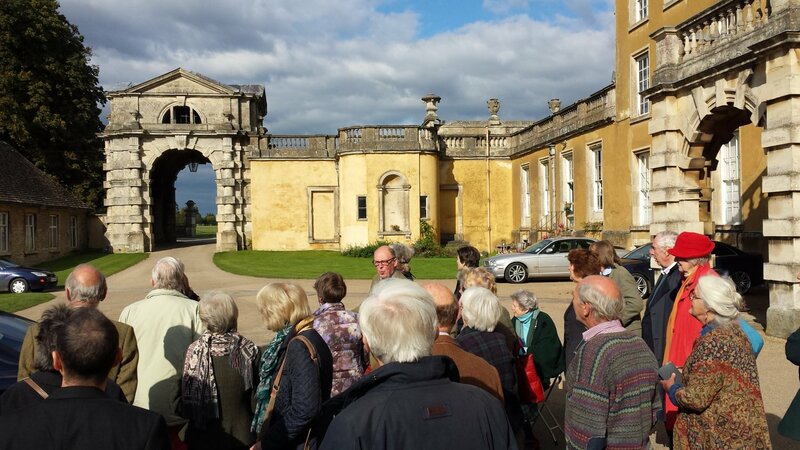 We had an entertaining guided tour of some of rooms, one of which was where the game of Badminton was invented. 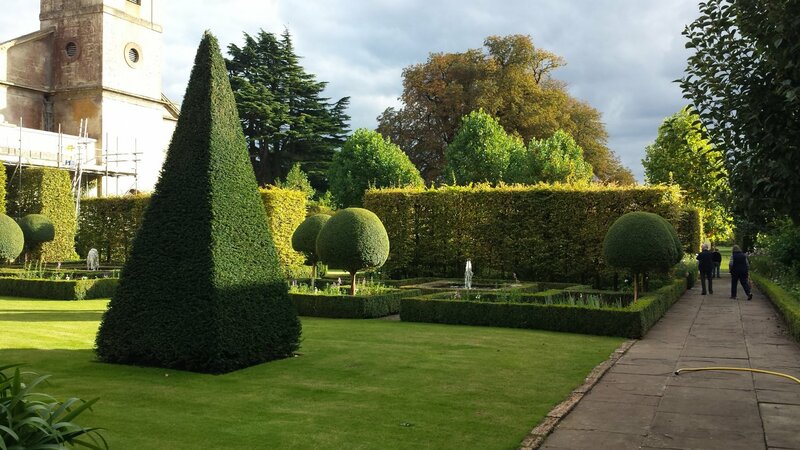 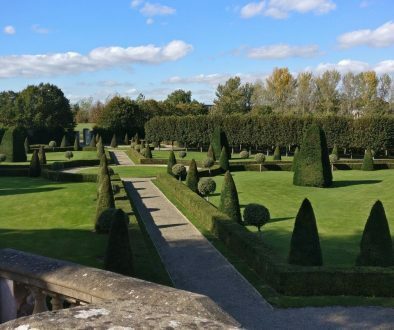 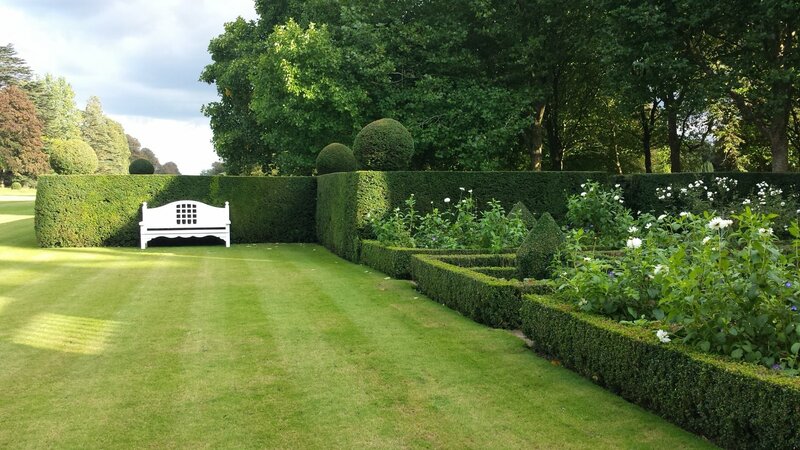 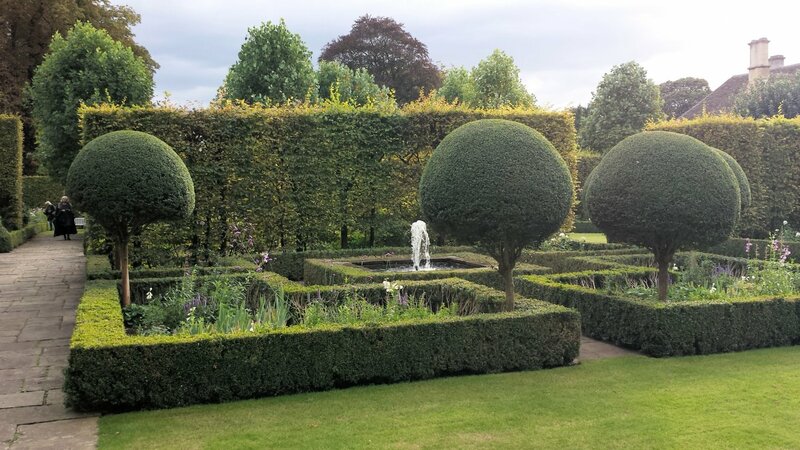 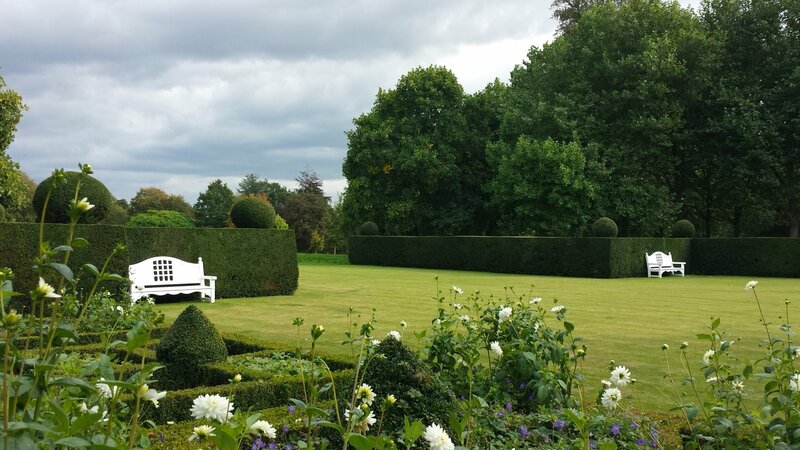 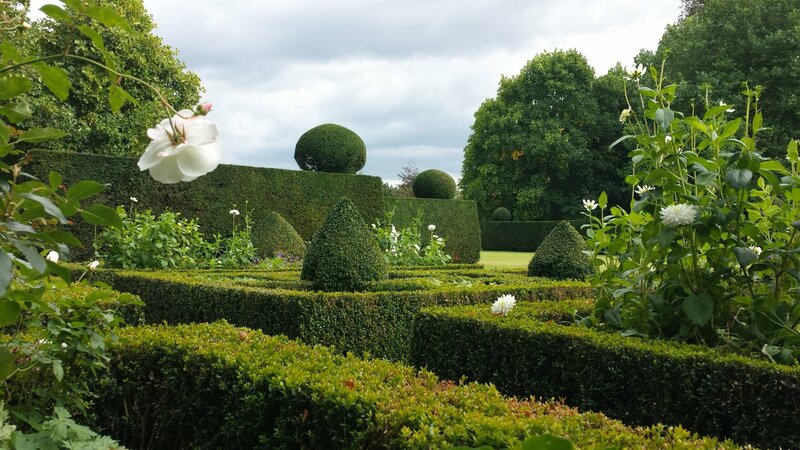 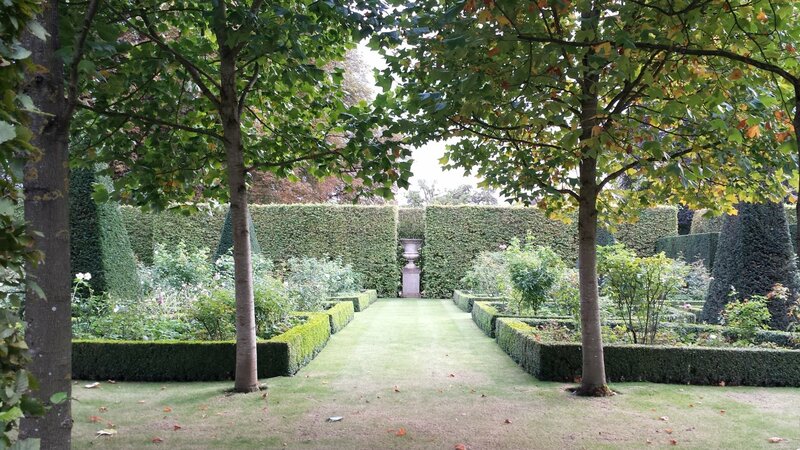 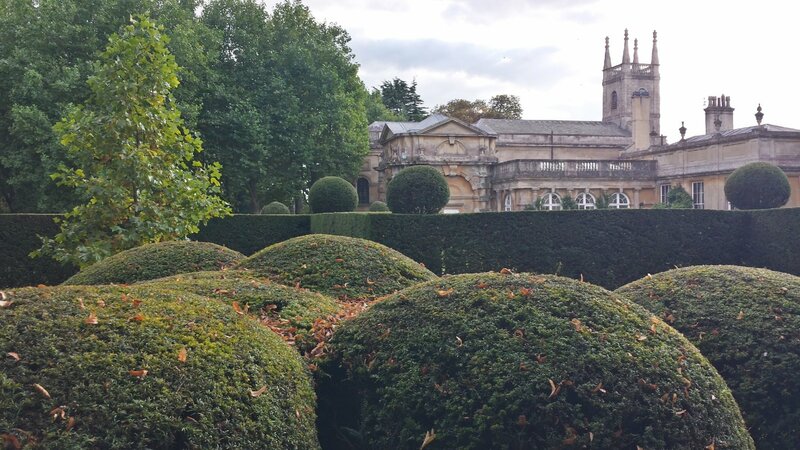 Following our tour of the house we burst out into the garden and enjoyed the endless views across the Deer Park and the formal garden that had first been created by Russell Page and which has since been tweaked. 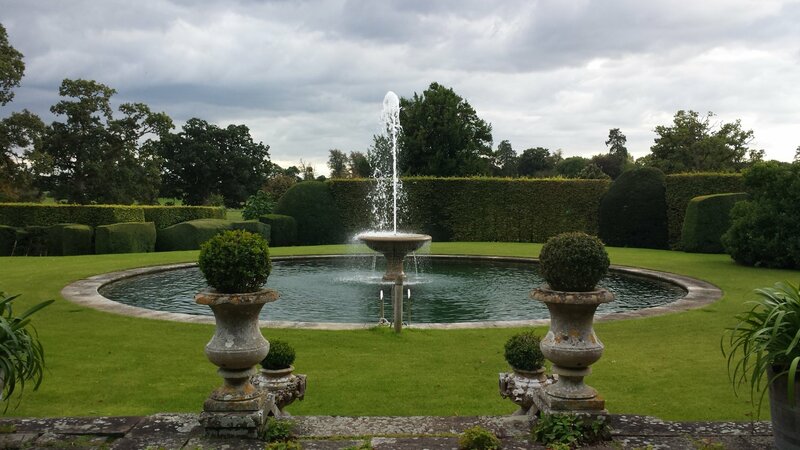 What great surroundings for a dip! 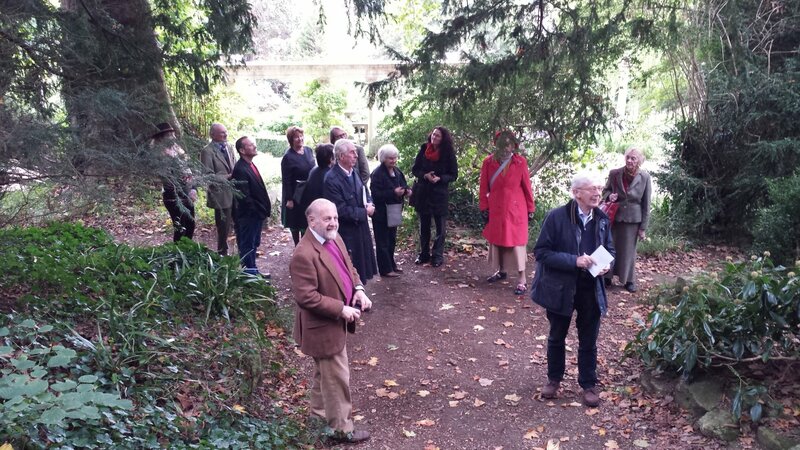 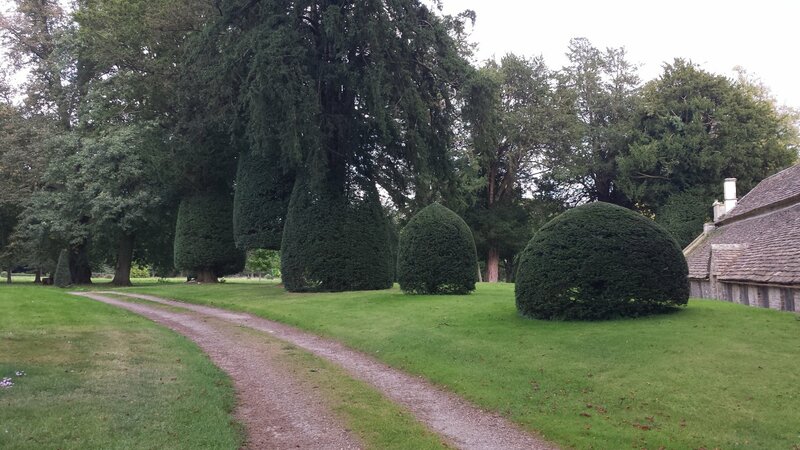 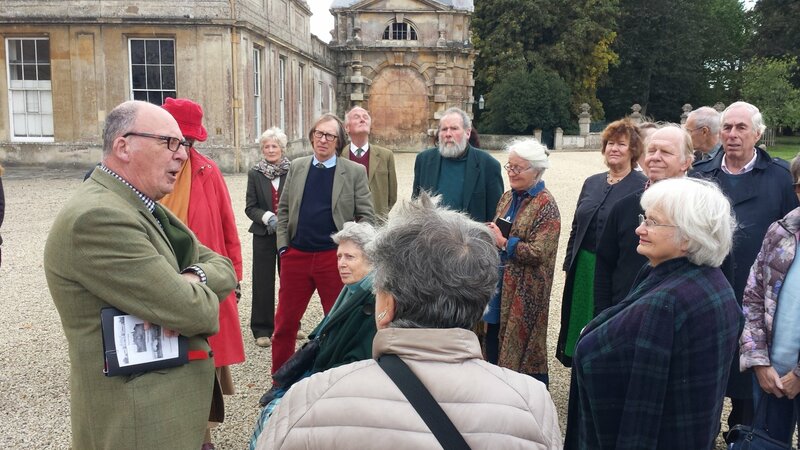 Many thanks to Judith Lywood who arranged the visit to Iford & Badminton.